Photo: Clemens House, ca. 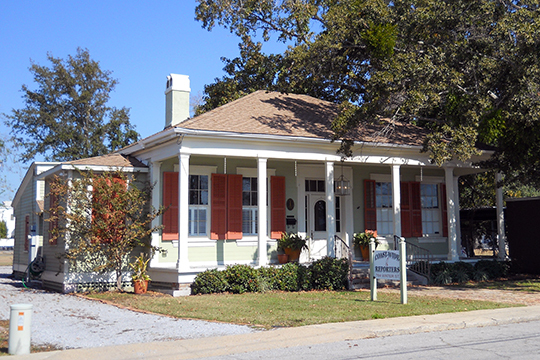 1850, 764 Water Street, Biloxi, MS. Listed on the National Register of Historic Places in 1984. Photographed by user: Woodlot (own work), 2011, [cc-by-3.0 (creativecommons.org/licenses/by/3.0)], via Wikimedia Commons, accessed October, 2013. Harrison County administrative offices are located at 1801 23rd Avenue, Gulfport MS 39501; phone: 228-865-4070. Established in 1841, the County was named for William Henry Harrison (1773-1841), the 9th U.S. president.